Luxury fully furnished stylish holiday home in central location is now available on a weekly or weekend basis all year round. It offers accommodation to suit two families/friends and sleeps a maximum of 9. The house consists of 2 separate spacious living areas with 2 HD LCD TVS .DVD and CD player, fully equipped kitchen with oven, cook top, microwave and dishwasher, dining room to seat 8. The master bedroom has queen size bed, walk-in robe and ensuite, 2nd bedroom with queen size bed, 3rd bedroom , 2 bunk beds, 3 single 1 double, separate bathroom, toilet and fully equipped laundry. Other facilities include ceiling fans to bedrooms and second living area, air conditioning to main living areas (2), ducted heating, huge covered outdoor deck with outdoor setting to seat 10, and BBQ, and double carport to provide undercover parking for car/boat. 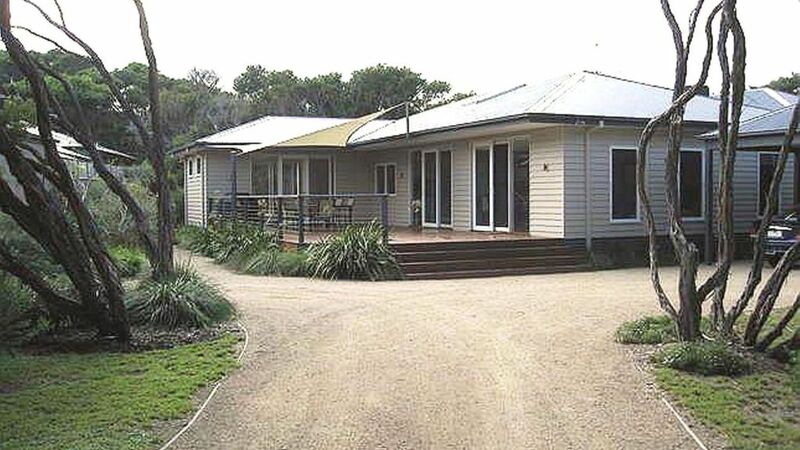 Centrally located near Melbourne Road gives easy access to shops, café's, beach and boat ramp. Boat Ramps- launch your boat for fishing, water skiing or jet ski. Love the Peninsula, Started holidaying here over 20 years ago. Eventually buying a house down here, and now I want to share it with you.. This property ticks all the boxes, private but close to everything. Back Beach, Bay, Shops, Hot Springs, Golf Clubs, Wineries, Arthurs Seat,Point Nepean , and much more. very modern, clean, comfortable unique holiday home. Suitable for families and friends. Quiet crt location but close to everything. This was a peaceful, relaxing week away. Gorgeous house with beautiful gardens, great decking & only 12min walk to cliff top lookout across the beach. Would very highly recommend this property. Only thing missing was WiFi. We will definitely be back. My six sisters and I loved our stay. The house was beautiful - absolutely immaculate. So much room for all of us - we will definitely be visiting again! This was the third or fourth time for some of our group of scrapbooking and card making ladies and a couple were there for the first time. As usual, Beachwood was immaculately presented and lacking nothing in the way of home comforts. Before we left, the group was already planning a return visit in the not too distant future. We love Beachwood. We stayed at Beachwood in July and loved it. The house was modern, much bigger than we expected and very comfortable as everything we needed was supplied. The owner was also really friendly and easy to deal with. I would recommend others to stay in this peaceful property. Nice secluded property with a lovely garden, two living areas with TV's good as we were there with family and 2 young children (2 yrs old). Nice that the master bedroom seperate from other bedrooms. Nice touch that toiletries and tissues were left in the bathrooms. Overall we had a really good time and would recommend the property.